What is Stateline Quiz Bowl? 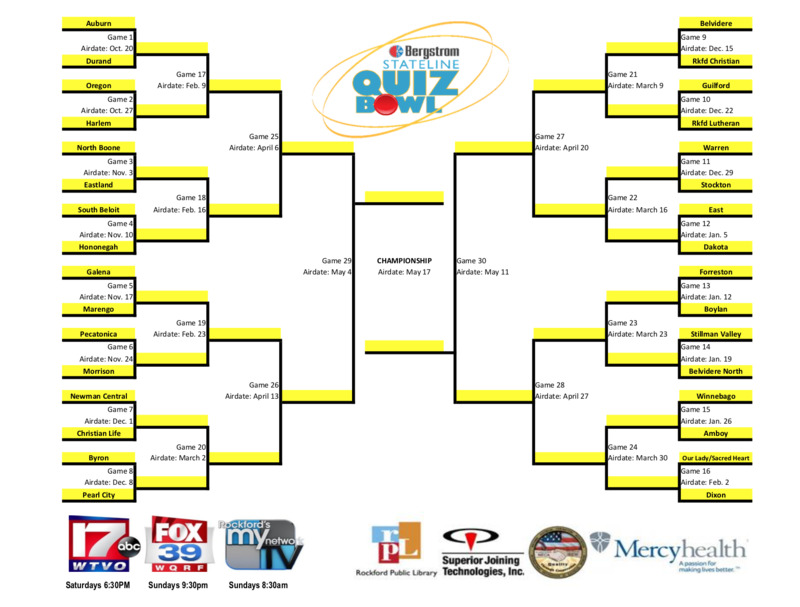 Stateline Quiz Bowl is a locally produced, half-hour television game show that airs exclusively on WTVO and FOX 39. Stateline Quiz Bowl features students from 32 local high schools in a 31-week, tournament-style contest program that will test their knowledge. If you'd like to learn more about how you can sponsor Bergstrom Stateline Quiz Bowl, contact Nick Capriola at 815-968-8192 or ncapriola@wtvo.com.